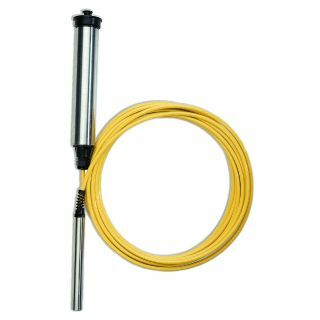 The WL16, Water Level Logger, is a datalogger and submersible pressure transducer combination designed for remote monitoring and recording of water level or pressure data. 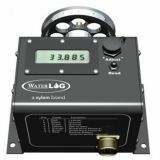 The water level logger can record over 81,000 readings and has four unique recording options, fast (10 samples per second), programmable interval (1 second to multiple years), logarithmic, and exception. 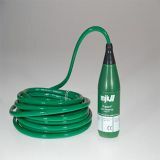 Multiple depth ranges are available from 3 to 500 feet of water level change. A 25 ft vented cable is standard on all water level loggers, and optional cable lengths are available from the factory up to 2000 ft. 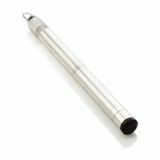 The WL16, Water Level Logger, is housed in a weather-resistant cylindrical enclosure, which slips inside a standard 2-inch PVC pipe. The Water Level Recorders are easily adapted with standard hardware for wellhead mounting, stream, or other installations. Two internal 9 VDC Alkaline batteries will typically power each of the Water Level Loggers for approximately one year even if one of the batteries fails. A third onboard lithium battery ensures your data is safe in the event both 9V batteries fail. All Water Level Loggers include Windows and PDA software, allowing easy upload of data a laptop, desktop or PDA for transfer to spreadsheet programs. NOTE: The Palm operating system is NOT supported. Warning: Non-vented water level loggers may have readings with errors of up to 10 inches due to barometric pressure changes. Global Water's Water Level Loggers use vented cable to prevent this issue from affecting your data. The AK1500 Bluetooth Adaptor was designed to eliminate the need for custom PDA cables to communicate between your PDA and the WL16 Water Level Loggers. 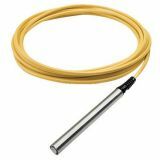 The adaptor connects to the Water Level Logger's serial port using the same interface cable provided with the software-cable kit. 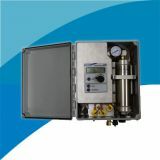 The interface operates from a single 9 volt battery and is turned on automatically when the cable connects the water level logger and Bluetooth adapter. Because the Bluetooth module consumes power when turned on, it is recommended that the cable be disconnected from the water level logger when not in use. A red LED shows the power status and is on continuously while the adaptor is plugged into the water level logger. There is also a blue LED that shows the status of the Bluetooth connection. PDA software: CE and Mobile compatible. For more information on supported PDAs click HERE. 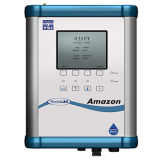 The Water Level Logger includes Global Water Datalogger Software, Windows-based software that provides many useful features, such as real-time readout, measurement interval and engineering unit selection, station ID setting, and sensor calibration. The software makes accessing stored data and setting options easy. Data downloaded from the Water Level Logger can easily be opened in any PC spreadsheet program for analysis and graphic presentation. Globlal Water's Water Level Recorder Software will run on a PC-type laptop or desktop computer running Windows 98 or later. To communicate with the Water Level Logger, a computer must be equipped with a communication port appropriate to the type of water level logger you have, either a standard RS232 serial or a USB host communication port. 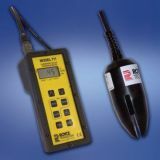 Purchase of the Water Level Logger includes a RS232 or USB cable (for communication between the logger and your computer). SERIAL version for collecting data with most PDAs. Allows water level logger to sit inside 2-inch well with the water level recorder's enclosure rim resting on well casing top. Standard or locking well cap will completely hide the water level logger. When ordering, specify water level range that will cover the maximum water level change for your application (this is not necessarily the total depth of water): 0-3, 0-15, 0-30, 0-60, 0-120, 0-250, and 0-500 ft. NOTE: There is a $50 extra charge for 0-500 ft range sensor. Selecting the smallest water level range possible will ensure the greatest accuracy. Includes 25 feet of cable. Includes software, manual, and serial interface cable. FREE! USB version for collecting data with most laptop/desktop computers. Allows water level logger to sit inside 2-inch well with the water level recorder's enclosure rim resting on well casing top. Standard or locking well cap will completely hide the water level logger. 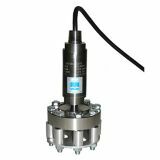 When ordering, specify water level range that will cover the maximum water level change for your application (this is not necessarily the total depth of water): 0-3, 0-15, 0-30, 0-60, 0-120, 0-250, and 0-500 ft.
Includes software, manual, and USB interface cable. FREE! Cable length is measured from top of water level recorder to bottom of sensor. Up to 1000 feet of extra cable can be added at the factory. Entire logger goes down inside the 2 inch well. Provided with chain and hook to secure the well top. Global Water recommends that no more than 100ft of cable be used with this option. 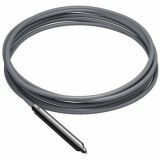 Sensor is housed in a 8 inch PVC (PRPP) or stainless steel pipe with 3/4 inch NPT male thread (PRPM) for logging pressure in municipal water systems. 10 ft cable standard. Calibrated in psi with ranges of 30 psi, 60 psi, 100 psi available. 0-50° C, Accuracy: 1% of reading. NOTE: This option does not decrease the storage capacity of the water level logger.